JMI are offering private music lessons to students of all ages and abilities. JMI’s Private Lessons are delivered by talented and knowledgeable graduates of our Bachelor program. JMI’s Private Lessons are offered as a 5 x 1-hour lesson package. You can select what teacher you want from the list provided below. Lessons are delivered at JMI’s campus at 10 Exhibition St, Bowen Hills. Lessons can be arranged for between 6pm and 10pm Monday – Friday, or between 7am and 10pm Saturday and Sunday. Lesson times are arranged between yourself and your teacher. There are no restrictions on how frequent your lessons are (weekly, fortnightly etc.) – this is completely up to you and your teacher to decide. However, the 5-lesson package must be redeemed within a 6-month period or it becomes void. Lesson cancellations must be made more than 24 hours prior to the arranged lesson time. Lessons cancelled within 24 hours will not be redeemed. Full payment is required upfront prior to lessons commencing. There are no refunds available. 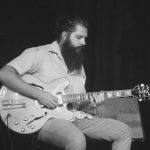 Since graduating with Honours in 2016 and studying under the renowned Ben Hauptmann, Tyler has been making a living teaching privately from his home, teaching at various music schools and regularly gigging in and around Brisbane. Tyler teaches everything you’d want to know, from beginner to advanced harmonic, melodic, and rhythmic concepts, ear training, chord voicings and accompaniment, building your chops and improving technique, composition, etc. 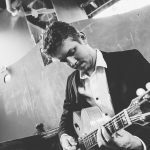 Learn to play your favourite styles from Gypsy jazz and swing right through to more modern styles of playing! With a firm footing in the Australian jazz scene and ten years of teaching experience, Charlotte is passionate about teaching jazz vocalists from beginners to professionals. After completing her Bachelor in jazz music at JMI, Charlotte has since produced an acclaimed jazz originals album with guitarist Toby Wren, completed a Graduate Certificate in jazz performance, and a Masters in vocal pedagogy at the Griffith Conservatorium. 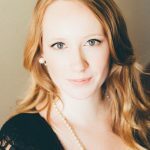 As a voice teacher, she is passionate about helping students to develop not only a strong vocal technique, but to develop a firm foundation of rhythmic, theoretical, performance and musicianship skills. Charlotte works tirelessly to personalise lessons to bring out the best in the student to ultimately help them to achieve their goals. Mitchell Bellert is a Brisbane-based career instrumentalist specialising in jazz and contemporary styles. 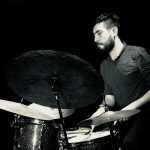 Graduating from Jazz Music Institute in 2015 with a Bachelor Of Music (Jazz Performance, Drum Set), He has been tutoring drum set since 2014, and performing professionally since 2012. Having studied with some of Australia’s finest educators, Mitchell’s approach to teaching covers all grounds of developing both a technical facility, and a personal ‘sound’ on the drum set. He takes pride in structuring lessons to students’ individual requirements; albeit due to ability, experience, and musical interest. With a keen interest in jazz musics (improvised to traditional), fusion, funk, motown, hip-hop, and rnb, Mitchell pulls apart the building blocks in each style, allowing learning the music in a fluid and natural manner. I am a 2016 graduate of a Bachelor of Jazz Music at JMI. Beginning on trumpet in primary school, transitioning to guitar and electric bass in high school and a Diploma of Music, then onto double bass at University with the renowned Brendan Clarke as my mentor. I have been playing various styles over the past 10 years, and I regularly perform around Brisbane. I am involved in numerous projects including classic and alternative rock, heavy and progressive metal, American and gypsy jazz, Latin, funk and blues. As such I can cater to any style of learning for students young and old. With me you can learn everything from your favourite songs and solos, as well as fundamentals such as ear training, improvising, accompaniment, advanced harmonic and rhythmic concepts, and song writing techniques. I believe there is something in music for everyone and having a teacher to explore with is an invaluable experience! Scott Foley is a performer and educator specialising in Jazz and contemporary styles. 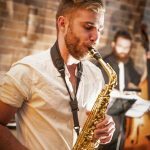 Alongside graduating with a Bachelor of Music from JMI on Saxophone, Scott also holds a Certificate of Music Studies from the Queensland Conservatorium, and has since undertaken his Master of Teaching (Music). In addition to performing regularly in Solo, Small Ensemble, and Big Band settings, Scott is also quickly becoming a sought-after educator, teaching around Brisbane privately, and in small group tutorials and master classes in Queensland schools. Scott has studied alongside some of Australia’s most respected Woodwind instructors and strives to emulate their approach of providing a strong foundation of Instrument specific technique and performance skills to all of his students. Through Scott, students can expect to not only improve their skills on their instrument, and overall musicianship, but also their confidence in performance settings! of Jazz Performance studies at JMI, and upon graduating began teaching night classes at JMI as well as working in schools through the Australian Academy of Music, B Sharp Music, and the Primary Music Institute. Learning with me, you can expect to cover everything from fundamentals to advanced concepts of improvisation. We will cover theory and practice with a focus on performance and analytical understanding. I will structure lessons with your goals in mind and tailored to your skill level. Please feel free to contact me if you have any questions. 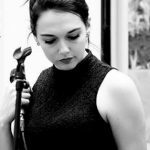 Specialising in all contemporary styles with a strong emphasis on jazz, vocalist and pianist Grace Cockburn has been performing as a professional musician for over a decade. She has travelled throughout Western Europe with her jazz duo and toured Japan twice as a featured soloist in Isabella Acapella. She has performed at prestigious venues such as the Angel Place City Recital Hall, NIDA Playhouse and the Sydney Opera House. Recent honour roll graduate of the Bachelor of music degree at the Jazz Music Institute, Grace has been teaching private piano and voice for several years and enjoys the enriching experience that teaching music brings. Sam has gained many of the skills and drive he has for music through his own gigging life. Playing with incredible local and international talents such as Graeme Norris, Nick Hempton, Dale Barlow and Wil Sargisson helped fuel and inspire his passion. 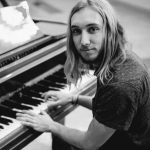 Since completing his degree at the Jazz Music Institute, along with a Diploma, Sam has been working as a teacher at Independent Music Academy and Downtown Creative studio where he has discovered a love for sharing knowledge with his students. Sam has had ample experience with students from the age of five through to forty plus and is comfortable tailoring each lesson to suit the individual. As a teacher, his goal is to share with and encourage this passion in his students. 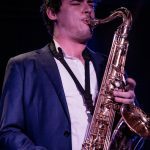 Ben van Jole graduated from Jazz Music Institute with a Bachelor of Jazz Performance in 2017 and received Academic Commendations in 2016 & 2017. Ben started playing the piano when five years old learning from a classical teacher until his early teen years. It was then Ben was introduced to jazz greats such as Dave Brubeck, Oscar Peterson, Jimmy Smith and many more. Ben has immersed himself in the local music scene around Brisbane for a number of years. He has taught professionally both privately and for music education businesses for the last two years and has a real passion and commitment to the progression of every student. Ben has been performing around Brisbane regularly in a variety of different bands and venues. 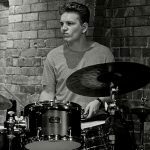 He is currently or has been involved with groups The Holy Rollercoasters, Weightless In Orbit, Kodiak Empire, UQ Big Band and Brisbane Conduction Ensemble as well as supporting highly renowned musicians Dan Quigley, Graeme Norris and Brett Mcdonald. 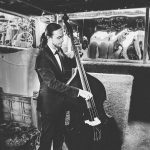 Ben has been managing a weekly jazz trio performance for two years at the cafe Remy’s in Paddington and a one year solo piano residency at the up market restaurant Malt Dining in the heart of the city.